Chris Kyriakakis is on an acoustic journey for the ages. Chris Kyriakakis grew up captivated by the sound of places from the distant past. Today Kyriakakis heads up USC’s Immersive Audio Lab, and though his career took him far from the city of his birth, his work recently drew him back to capture the sounds that have been part of Thessaloniki life for centuries. The acoustics expert lives and breathes sound. 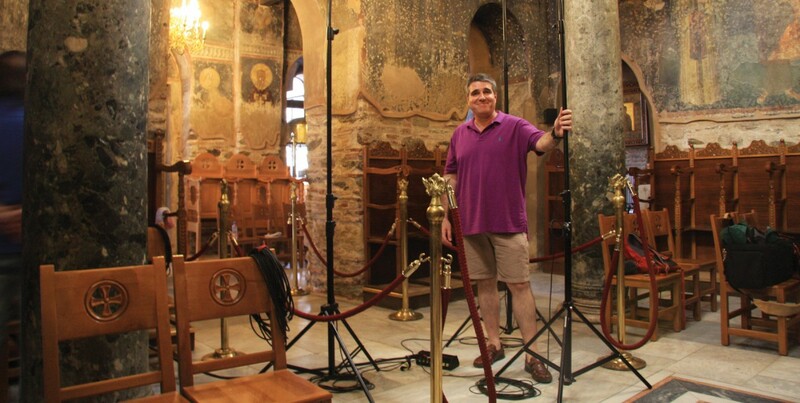 Last summer, the USC Viterbi electrical engineering professor traveled to Thessaloniki with an international team including Byzantine historians, musicologists and archaeologists to study and record sacred music in churches dating from the 5th to 14th centuries. Kyriakakis captured chants that revealed the acoustic sophistication of the architects and designers who created the spaces. 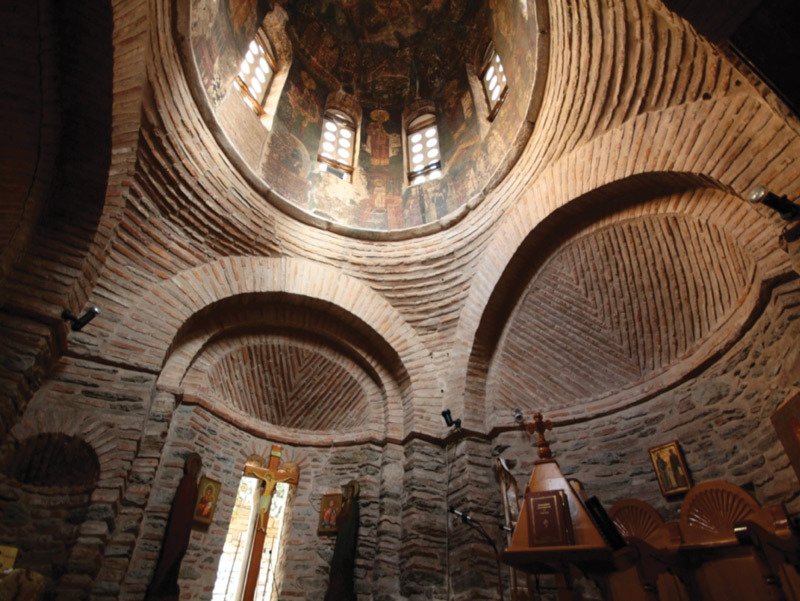 Among the team’s discoveries: Strategically placed clay vessels in the churches could absorb sound, and they were tuned to specific frequencies to make sound reverberate in certain ways. The researchers also found frescoes that served as more than mere decoration. Sharon Gerstel, Kyriakakis’ co-principal investigator on the team, believes that the paintings instructed chanters where to stand, projecting sound out of portals, especially when certain parts of the liturgy needed to be emphasized. 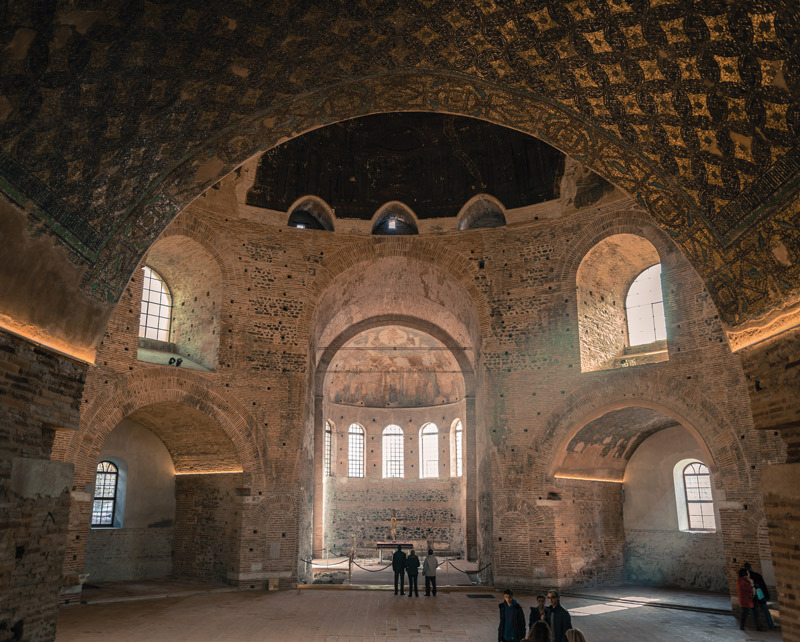 “It’s interesting to see how cognitive processes work, how vision and hearing work in tandem to create a transformation within the building,” says Gerstel, a professor of Byzantine art history and archaeology at UCLA. For Kyriakakis, the experience was the chance to fulfill a lifelong dream to re-create spaces that no longer exist, using the power of sound. 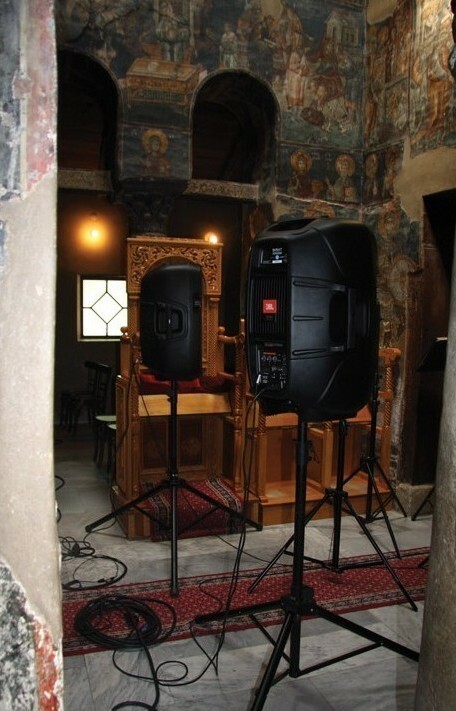 The recordings from Thessaloniki put Kyriakakis well on his way to engineering the first “acoustic museum”—an immersive experience that transports listeners across time. 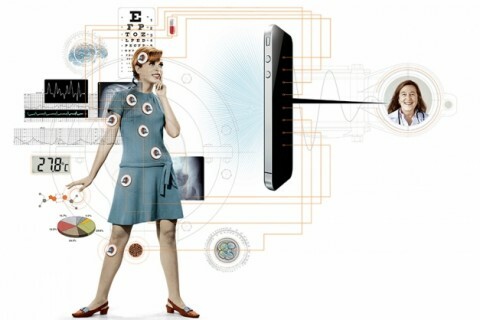 Ready to hear the sounds for yourself? 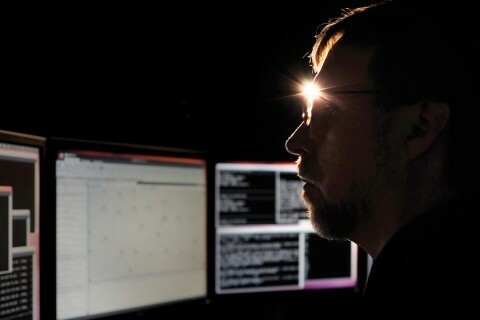 Listen to USC Viterbi’s “Escape Velocity” podcast below.